can be about both giving and giving back. As farmers we give of ourselves each and every day to our animals, our land, our families, our neighbours and our community. But do we give enough? Can we give more? The answer is easy. Yes. Yes we can give more. More of ourselves. More of our time. More of our heart. And today, December 2nd, is the perfect time to do just that because it is Giving Tuesday. 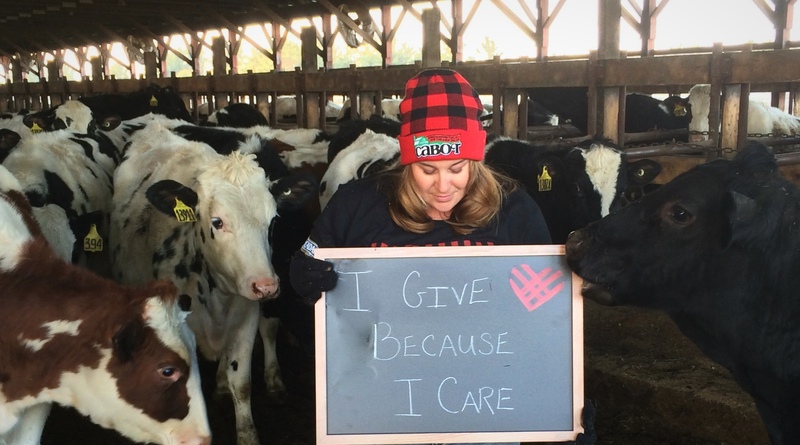 As Cabot Farmers we are proud to be a part of Giving Tuesday. One of the greatest rewards of being a dairy farmer is knowing that our hard work puts food on the tables of our neighbours, members of our community, and people all over the world. One of the greatest disappointments of being a dairy farmer is knowing that hunger is something that runs rampant throughout our communities and the world. So in conjunction with Giving Tuesday and the No Kid Hungry campaign this day is a day where you can be a farmer-you too can feed the world. In America alone, 1 in 5 children struggles with hunger, and today you can help by giving as little as $1 which can provide 10 meals for kids in need. It’s as easy as visiting NoKidHungry.com and donating what you can. If you make a gift on Giving Tuesday, Hickory Farms will match all donations up to $50,000! That means we have the opportunity to help connect kids with up to 1 million meals – all from one day’s work. With your help, together we can make sure that every kid gets the healthy food they need to succeed, this year and beyond. There is always something we can do. There is always something we can give. Be it our time. Our strength. Our love. For those who do give back, this Giving Tuesday or any day, take the time to log your volunteer hours using Cabot Cheese’s Reward Volunteers App. To thank those who give of themselves, Cabot Creamery Cooperative and their partners will reward both volunteers and their charity. Being a part of Giving Tuesday is as easy as giving your neighbour a hand. Giving a stranger a smile. Giving your time to those who need it. Giving your experience to those who can learn from it. 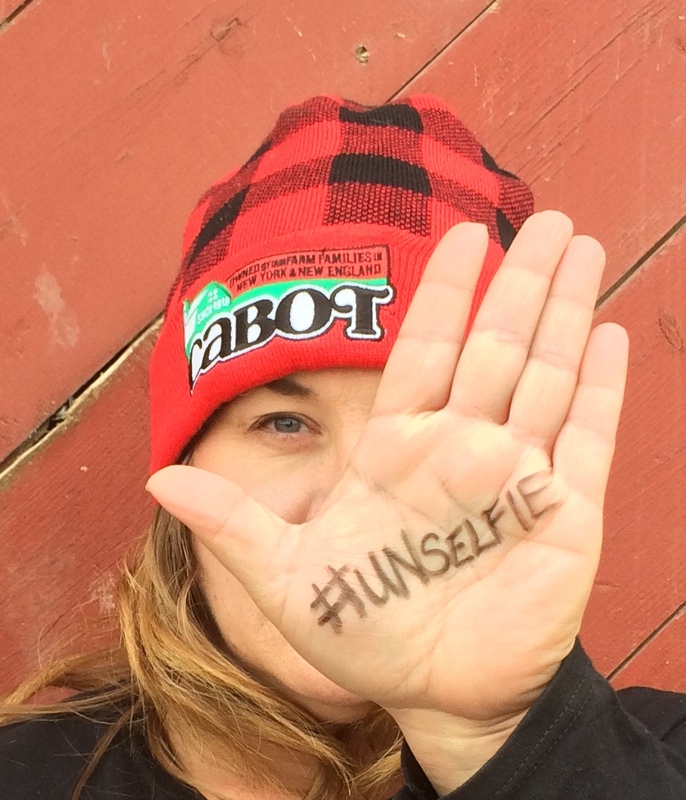 You can even give your selfie the boot to support the giving by jumping on the unselfie bandwagon. Every day brings a challenge for a farmer, but every day also brings the promise of reward from the fields to the barns. For every long, difficult day there is something else we can give to help make this world the place it is supposed to be. If we give and you give then our world will be a better place. Take the time to count your blessings and then make the time to give your time, your strength, and your love so that others might count their blessings, and among them they will count you. What better day to give than Giving Tuesday.